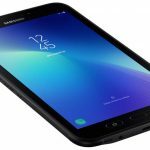 Samsung has quietly released the Galaxy Tab 7.7 – a shrunken down version of the 10.1-inch model that is thinner, lighter and faster. But there are also a lot features both have in common. Following the controversy of the Galaxy Tab 10.1 and Apple’s court bid to have it banned, Samsung has taken a low-key approach with this model which has already been spotted in stores. 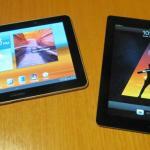 But it’s not like the company doesn’t have anything to brag about with the Galaxy Tab 7.7 – on the contrary – it is an excellent device and in a size that will suit many users. This Galaxy Tab 7.7 is almost a dead-ringer for the Galaxy Tab 10.1. It looks like it was shrunk in the wash. It has the same black frame and curved steel edges with a brushed silver back. 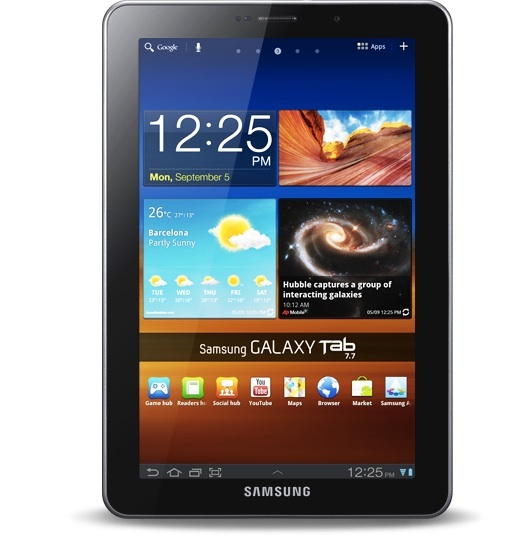 But, unlike the Galaxy Tab 10.1, the Galaxy Tab 7.7 has the Samsung name in the centre of the smallest side – in other words – the default way to hold the device is in portrait mode. This is ideal for reading and browsing the web and in this position it is easy to hold in one hand. The Galaxy Tab 10.1 has the Samsung name along the widest edge for landscape viewing. Of course either device has a built-in accelerometer and will adjust to the way users prefer to position the device. The top edge has a headphone jack with a microSD card slot on the left side and on/off/lock keys and volume controls on the right. Along the bottom edge is the charging/sync port and a pair of speakers. There is no HDMI connection and no mini USB port. There are also two cameras – a 2 megapixel camera on the front and a 3 megapixel camera on the back capable of capturing 720p video. The Samsung Galaxy Tab 10.1 is just 7.89mm thick and weighs a lightweight 340g. It has 16GB of internal memory and has wi-fi connectivity. 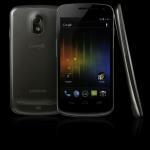 There will be no 3G version of the device released in Australia. The Super AMOLED Plus display is a real headturner with a resolution of 1280 x 800 and 197 pixels per inch (ppi). The Samsung Galaxy Tab 10.1 only has 149 ppi. The screen is bright and sharp and one of the standout features of the device. One of the first things we noticed with the Galaxy Tab 7.7 was how fast it is. The dual core 1.4Ghz processor – again faster than its 10.1-inch big brother – gave the device a pretty snappy performance. So multitasking was a reality and getting around to all the apps and opening and closing them was pretty much instant as was moving between home screens and accessing your files and media. The Galaxy Tab 7.7 is running Android’s Honeycomb 3.2 along with Samsung’s own TouchWiz interface to customise your experience and create access to your emails, your media and social networks from widgets on any of the home screens you care to set up. Also included are the Samsung hubs for music, reading, social networking and gaming. 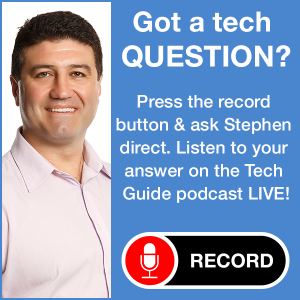 In terms of apps, users can access them from the Android Market or from Samsung’s own app store. 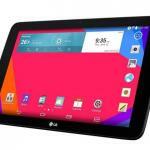 But, because the Samsung Galaxy Tab 7.7 has an odd sized screen between that of the smartphone and larger 10.1-inch models, the apps from the Android Market looked a little odd. Users can scale up these apps designed for smaller smartphone screens to fill the Galaxy Tab 7.7’s entire screen. Most of the apps scaled correctly but lost resolution as they tried to cover a larger area than the ones they were designed for. The camera on the Samsung Galaxy Tab 7.7 is good not great and can produce fair quality images if you don’t have the better camera on your smartphone handy. Battery life is excellent and we easily powered through an entire day even with solid use and even had enough juice to start the next day. This is good news for users who will be mainly using the Galaxy Tab 7.7 to view video and browse web through the wi-fi connection. The actual size of the device, though, is probably the most remarkable feature. Its more compact size makes it a lot easier to carry around. Female users will be able to easily fit the device in their regular handbag. The screen is large enough to get some real work or serious web browsing done. For many this will be the Goldilocks tablet because it is not too big and not too small but just right. 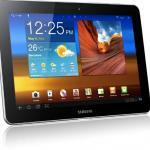 One area where the Samsung Galaxy Tab 10.1 falls down is the price. At $543 it is almost at the iPad entry level price point and may lose the side by side comparison because the iPad 2 has a larger screen and vastly more apps to use. Samsung had a real opportunity to grab a bigger slice of the growing tablet market if they had priced the Galaxy Tab 7.7 about $100 cheaper. If Samsung want this Galaxy Tab 7.7 to stand out on its own it should have been priced that way instead of falling in the same price range most other companies have set. That said, the Samsung Galaxy Tab 7.7 is still an excellent device boasting many impressive features and specs. Its smaller size puts it within reach of many users looking for that “in-between” solution between a smartphone and a full-sized tablet.